Sellers in 22 US states will have access to the service at launch. They will be able to offer financing on purchases between $250 and $10,000. Square takes on the actual loan and risk, paying the business the full amount up front and the customer making their installment payments to Square. Customers can apply to pay for their purchase over three, six, or 12 months at interest rates between 0 and 24 percent. The application process can be completed in a matter of minutes. Square says that applying will not hurt an applicant’s credit score and that decisions on approvals will be made in real time. The total cost and the monthly payment options available will be displayed after the application has been approved. With this move, Square is encroaching more into traditional banks’ territory. It also has a number of online competitors in this market. Affirm offers a similar service and now partners with more than 1,000 retailers. Sezzle offers financing to consumers with low FICO scores Square will also be competing with FuturePay, Afterpay, Klarna’s Slice, and PayPal Credit. Square Capital has been growing quickly since it launched in 2014. The Square subsidiary originated more than 60,000 loans totaling roughly $390 million in the second quarter of 2018. That was a 22 percent increase from the same quarter of the previous year. 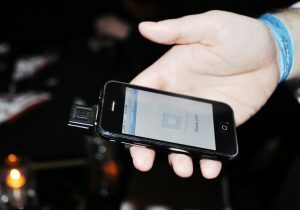 Square recorded more than 36 million transactions larger than $250 in the past year. The parent company’s stock is has increased more than 200 percent year over year.